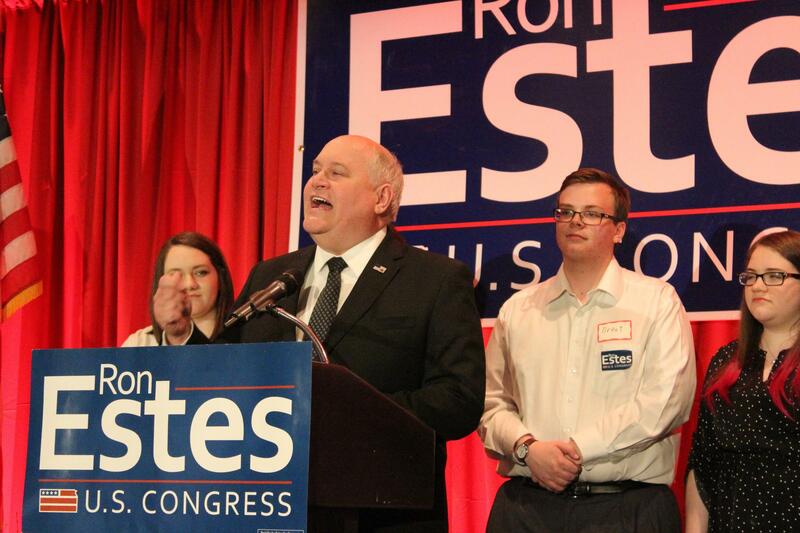 Republican candidate Ron Estes gives his victory speech. State Treasurer Ron Estes won the election to become the next Republican Congressman to represent the 4th District in Kansas. Estes defeated Democrat James Thompson by fewer than 10 percentage points, unofficial poll numbers show. Libertarian Chris Rockhold was also on the ballot and drew 2 percent of the vote. In what was supposed to be a give-away for the Republicans in the red state of Kansas, an almost neck-and-neck race emerged in the early returns, which leaned toward Thompson. Estes gained ground through the evening and ended up with 53 percent of the vote over Thompson's 46 percent. Rockhold received 2 percent of the total vote. A county-by-county breakdown of results is available at the Kansas secretary of state website. 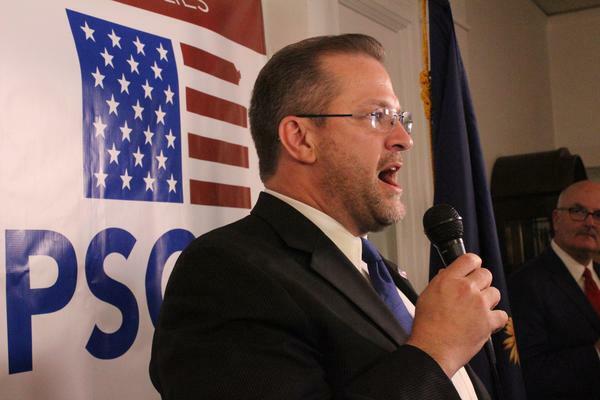 Following his victory, Estes, who has served as state treasurer for the past six years, told supporters that he’s ready to put his fiscally conservative experience to work in Congress. "There’s several moving things in Congress right now," Estes said. "Obviously, there’s still some discussion about Obamacare and repealing and replacing that. The other things that I know that is really up front in terms of engagement is tax reform." Estes’ election keeps the all-Republican congressional delegation for Kansas intact. The 4th District is historically Republican and was only considered competitive in the days leading up to the election. Political analysts said Estes was favored to win throughout the two-month campaign cycle, despite Thompson’s growing base of support. High-profile Republicans got involved in the race at the last minute, including President Trump. The president joined the effort for Estes through social media and get-out-the-vote calls. Thompson called his campaign “people-powered” because much of his fundraising came from individual donors. Just days before the election, his campaign spokesman said they received financial support from more than 8,500 people. The civil rights attorney said he was inspired by Sen. Bernie Sanders’ campaign for the presidency last year and decided to run for the 4th District. A group that formed following Sanders candidacy, Our Revolution, supported Thompson during the campaign through social media and phone banking. 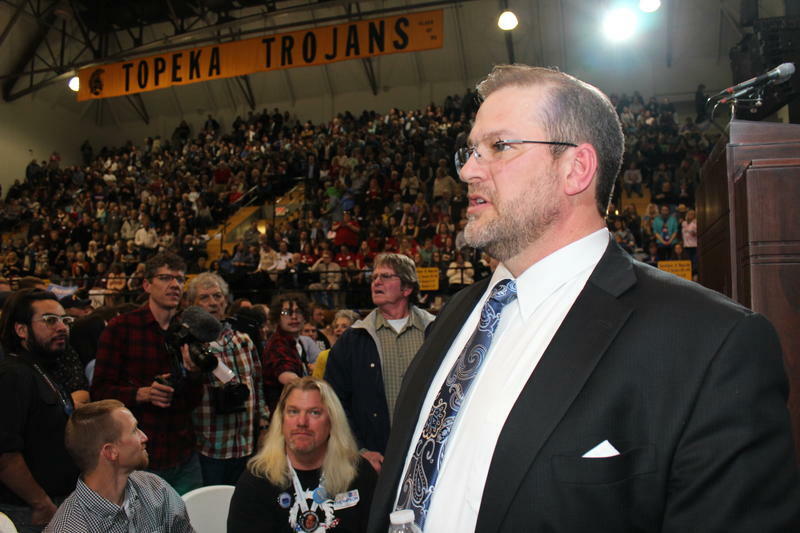 Thompson won the Kansas Democratic Party’s nomination in February by defeating a well-known politician, former State Treasurer Dennis McKinney. In the last three congressional elections, Democratic challengers attracted only about 30 percent of the vote against Mike Pompeo. Thompson’s only win Tuesday came in Sedgwick County, the most populous of the 17 counties in the Congressional District. There he had 50 percent of the vote to Estes’ 48 percent. Thompson said he plans to run for Congress again in 2018. "I wanted to run in 2018 one way or the other," he said. "Seeing everybody here, and I know where we need to go to fix what we weren't able to do in 60 days. We'll come back in 2018 stronger and be able to win it." Analysts say Libertarian candidate Chris Rockhold’s bid for public office was a long-shot. Rockhold said one reason why he decided to enter the race was to get name recognition for the Libertarian Party. Libertarian Gary Johnson received more than 55,000 votes in Kansas (4.7 percent) when he ran for president last fall. Libertarian candidate Gordon Bakken received just 2.8 percent of the vote in last fall’s election for the 4th District seat. Mike Pompeo was re-elected with 60 percent of the vote and served until President Trump tapped Pompeo to become CIA Director. Republicans have held the 4th District seat for more than two decades. 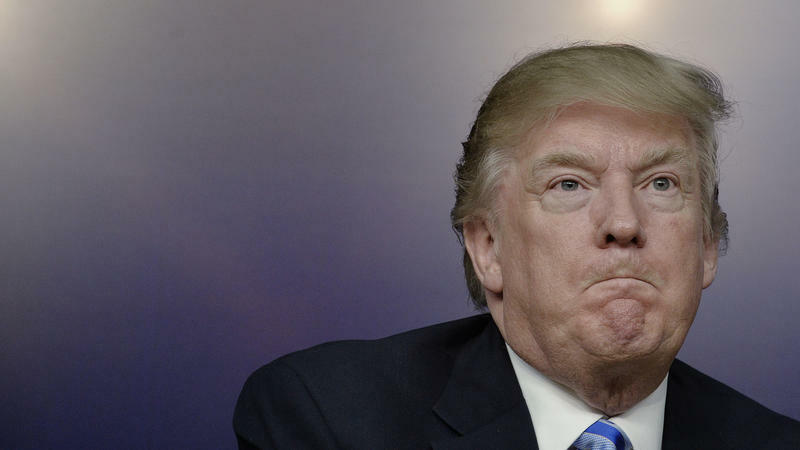 In last year's presidential race, Trump easily won with 60 percent of the votes cast in the 17-county congressional district of south-central Kansas. Neal Allen, a professor of political science at Wichita State University, said Tuesday's election was "much closer than it should have been." "The key question is whether the weakness of Estes tonight was due to his shortcomings as a candidate, the weakness of the state party under Brownback, or a sign of Trump's national unpopularity," he said. "It probably took all three to get Thompson this close." Allen said Thompson's strong showing could help recruit Democratic candidates in future races. The 4th District special election is the first of five House elections that are taking place through the end of June. Republicans are defending three other GOP-leaning seats, and Democrats are protecting territory in California. The open seats are in Georgia’s 6th District, Montana’s at-large district, South Carolina’s 5th District and California’s 34th District. Hugo Phan, Aileen LeBlanc and Nadya Faulx contributed to this report. Copyright 2018 KMUW | NPR for Wichita. To see more, visit KMUW | NPR for Wichita. Tuesday voters in south central Kansas will be the first in the nation to decide a congressional race in the age of Trump. The special election in the Kansas 4th District will replace Mike Pompeo, who now leads the CIA. It’s a district that would, under normal circumstances, be considered a lock for the Republican candidate. But of course, these are not normal times, and resources are flowing into the district from left and right. A special election in Kansas on Tuesday has Republicans sounding worried about an enthusiasm gap in the Trump era. Trump himself was apparently worried enough that he cut a robo call for Republican state party Treasurer Ron Estes.